An A-Frame sign in a great way to draw attention to your business at footpath level – easily visible to passing cars and pedestrians and with the convenience of being easily relocatable. All of our A-Frame signs come with sturdy metal frames with double sided displays. Start by considering whether you want your signage to be changeable. 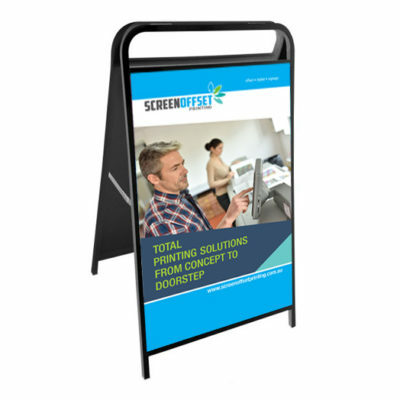 Our Corflute Insertable A-Frame allows for quick and easy changing of your display for those locations when you want to be able to alter your signage to feature special products or offers. 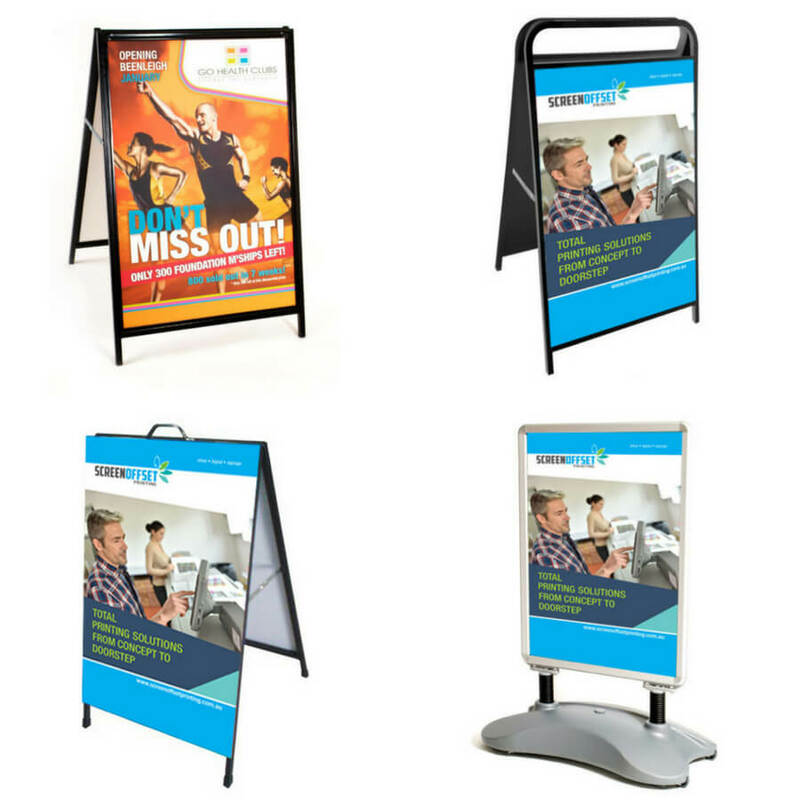 Corflutes are made of corrugated plastic which means that they are a lightweight and cost-effective signage solution, suitable for both indoor and short term outdoor use. 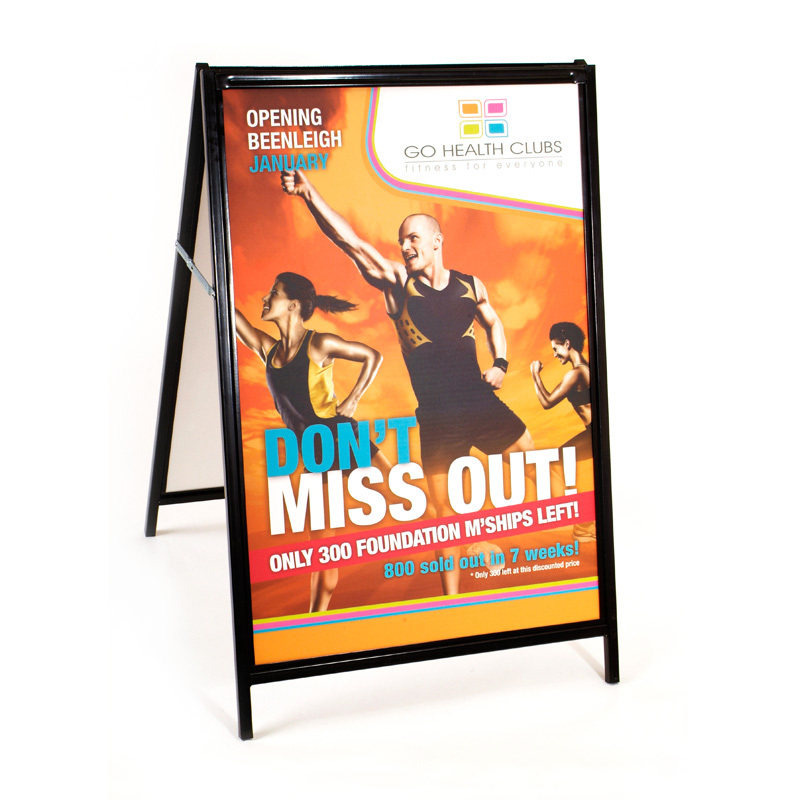 We print on one side using UV inks and a printing method that ensures your Corflute sign is scuff resistant and weatherproof. Cleaning is easy – simply use a squeegee to keep your sign looking as good as new. For a longer term interchangeable sign that is base weighted and weather resistant you may prefer our Water Fillable A-Frame. These Water Fillable A-Frames have spring loaded display panels that make them ideal for areas with high winds. The snap frame is easily changed, allowing you to alter your display quickly and easily. 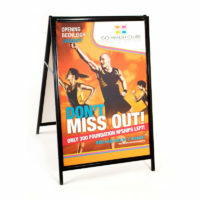 Display graphics for Corflute and Water Filled A-Frames are 600mm x 900mm. For permanent A-Frame graphic displays use our Metal Faced A-Frames which come in 2 styles – standard and designer. 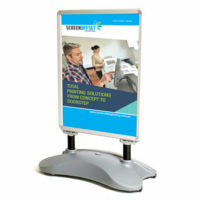 The Designer A-Frame features a heavier mental mount over the display panel, which measures 600mm x 900m. Our standard A-Frame allows you to upgrade to a larger display graphic measuring 900mm x 1200mm. 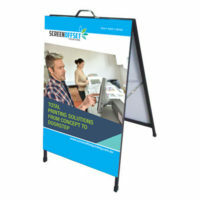 Both of our Metal Faced A-Frames feature graphic panels that are printed onto vinyl and mounted on the fixed metal base. Screen Offset Printing is your printing solution specialist and offers free delivery to Brisbane and the Gold Coast.